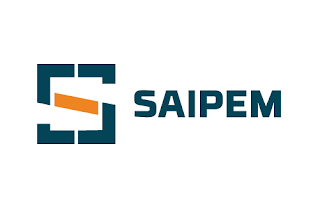 Saipem has been operating in Indonesia since 1995, represented locally by PT Saipem Indonesia (PTSI), operating from its offices in Jakarta and a fabrication yard in Karimun Island, the largest in Southeast Asia. 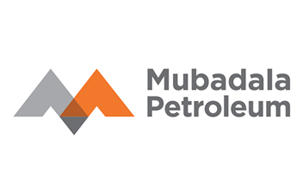 This means the Company can perform the whole range of EPCI operations for both Onshore and Offshore projects from within the country. We are seeking for best candidates to fill the vacant position. Responsible for organizing and scheduling of Third Party Lifting equipment certification for all Company lifting equipment as per Company policy. Provide technical support with respect to Lifting Equipment installation/ certification and handover from new Expansion & Mega Projects. Knowledge of technical disciplines and materials in order to interface with engineering and construction departments. In addition to all the above, in case of coordination of a team of Quantity Surveyors, the coordinator, with suitable experience and seniority, shall effectively drive the team (internal or external resources) maintaining the targets of the project and/or embrace the ownership and responsibility of more than one discipline. Excellent verbal and written communication / presentation skills in English. Attend all necessary inspections as identified in the approved Inspection and Test Plan (ITP). Inspect the production quality to establish if the client requirements are being achieved. Record and document any and all deviations from the Project Quality Program (PQP) and the Company Integrated Management System (IMS). Update the system with any and all deviations from the Project Quality Program and the Company Integrated Management System (IMS). Coordinate with the client representatives to ensure that inspections are carried out expediently. Review the calibration status of any test equipment being utilized on the project ensuring the equipment is within calibration prior to use. Provide support and advice to the construction personnel in relation to the Project Quality Program and the Company Integrated Management System (IMS). Secondary qualifications or higher or related trade background, with experience in related oil and gas fields. Relevant Insulation qualification / certification. Performing Insulation inspection programmes for oil and gas capital resource projects at module fabrication yards. Review and approval of Quality documents such as quality control procedure, ITP, Vendor specifications, material approvals etc. Witnessing and surveillance inspection on contractor’s surface preparation and painting activities as per relevant inspection points stipulated in ITP. Witnessing pre-qualification tests for paint system, coating applicator and blasting operator qualifications. 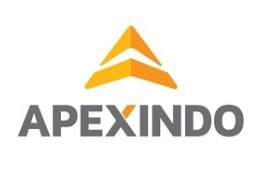 Approval of abrasives, coating and insulation materials etc. Resolve contractor’s technical queries with concurrence from quality and engineering leads. Verifying contractor’s compliance with specifications, procedures and ITP. Reporting Non-conformities that are found during inspection, reviewing contractor’s corrective/preventive proposals and verifying it at site. Carry out punch listing during project completion stage, follow up and track the work execution of the listed punch items. Attending daily and weekly progress meetings with project construction team and contractors. Preparation of final handover documents and project close out reports. Please send your CV and related documents to recruitment@saipem.com. Write the position title as the email subject. FRAUD WARNING!!! Please be aware that Saipem Indonesia will never ask the applicant to pay any fee or appoint any travel agent for the selection process. All communications that ask the applicant to pay any fee or use specific travel agent are fraudulent & scam. The application can only be send through the above email.